Some of our coaches start out with other sports before coming over to biking, so that’s no surprise. To say Stacey was a rider first is no joke…but she wasn’t on bikes! Yes, Stacey skis and snowboards, but that’s not what the type of rider we’re talking about here either. Now that we have your interest, the unique riding experience that Stacey grew up with? She was an equestrian rider. She rode until after college and early into her career, where she found she did not have the time to care for her horse as much. She retired. Several years later, she felt something was missing. Without ever having tried mountain biking, hopping on something else she could ride seemed like an easy fit. So, as many of us do, she threw caution to the wind and purchased her first mountain bike. Shortly after this life-changing purchase, she became a student of Shred Sisters! It quickly grew into her new passion and her one mountain bike magically multiplied to three bikes. She found her knack for coaching by sweeping for Shred Sisters. She loved just getting out and biking with other women. 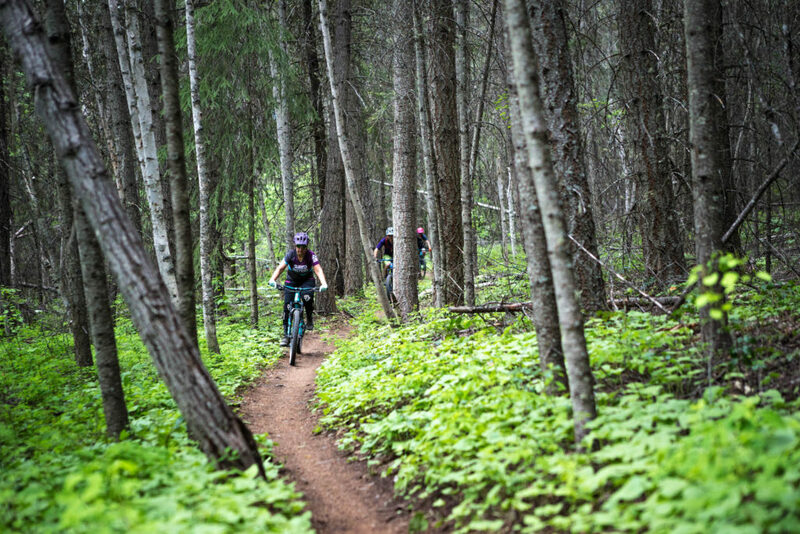 “The energy and excitement in groups of ladies on mountain bikes is infectious,” she shared, “I love helping women face their biking fears head on, and helping [them] conquer challenges big and small”. Stacey took her PMBIA and is planning to build on this foundation this year. Beyond that, her knowledge is vast, and EMT, Respiratory therapist, AND certified yoga instructor make her extremely knowledgeable about body anatomy and more. In 2018, Stacey joined a women’s racing team and dabbled in some downhill races. Her drive and determination from the day she pedaled on her brand new mountain bike ring true in what she wants her students to experience as well. 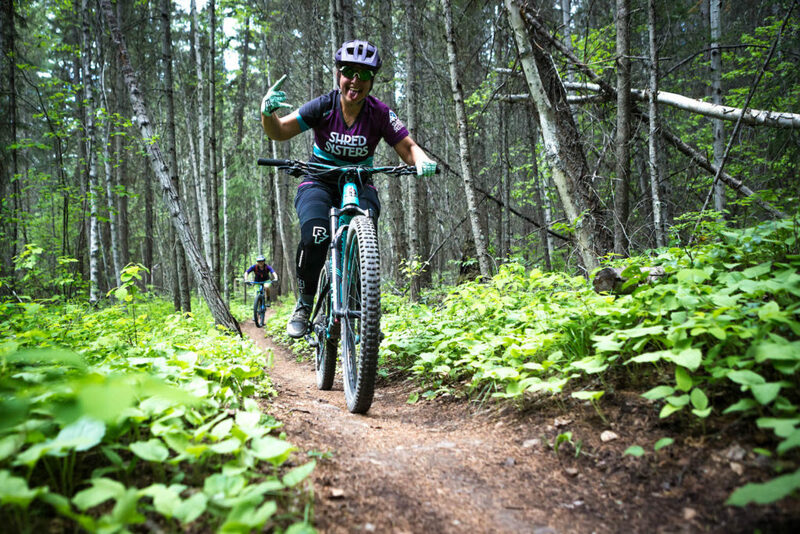 Believing that the most effective learning environment for mountain biking is when we can strike a balance between being challenged and being in a safe environment, Stacey focuses on finding that balance along with having fun. Well of course Stacey’s courses are fun; her favorite skill to work on is jumping! That was her favorite as a new rider. Her advice is the same for both beginner and advanced riders, focus on having a positive attitude. Every single day and ride is going to be different—energy levels, moods, stress, sleep, even what we’ve eaten, all play a part in daily performance. Be like Stacey! Always focus on learning, keep a smile on your face, and always be willing to try! Come join one of Stacey’s courses, she’s a seasoned rider and has been in the same shoes as many of you: students! She has loved Shred Sisters and the vibe we have with our team of coaches since her first retreat with us and we are so excited to have her as part of the coaching team for 2019.